Sniff K9s provides industry leading bed bug extermination using Pest Heat technology. We also offer scent detection services utilizing the finest scent detection dogs. Fully Insured. Only bed bugs, all the time. Heat treatment does actually work! Sniff were very quick to respond to my inquiry and to schedule an appointment. I was very satisfied with how dependable their service is!!! I would highly recommend Sniff K9s! They did a great job; very professional; also relatively easy prep on our part. Then when some bugs appeared a month or so later they did the test with the dog - as promised - at no charge. Luckily they were not bedbugs!! 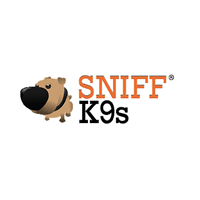 We have used Sniff K9 for over three years and have never been disappointed. They are fast, responsive, professional in what they do to eliminate the Bed Bugs. We called on Sunday of Labor day weekend and they were able to get a dog down on Monday to examine our rooms and then arrange heat treatment for that Wednesday afterward. Great Job ! !